Quick Way to do OST to PST Conversion We hope you have reached this page, while looking for ost2pst exporter tools to convert ost to pst file. Most commonly used ost exporter tools by Exchange administrators are ost2pst.exe or osttopst.exe, which is actually the short name of the executable or software setup used to export ost to pst. OST2PST software allows users to extract ost to pst file in few steps which involves locating all OST files and storing them into a common place for final ost to pst conversion. What next! You can drown into great trouble! What's the remedy? 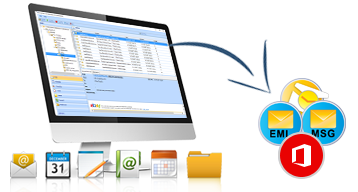 OST2PST conversion is a foolproof solution that lets you recover OST file email data by converting it to PST files, which can be viewed in Outlook. OST Recovery software is a remarkable OST2PST software solution that will make the process to recover OST data to PST a piece of cake for the recovery/migration in-charge in your organization. This simple and intuitive tool that falls under our email conversion product umbrella is a topnotch OST2PST converter tool, whose true worth will be acknowledged after you use it for OST2PST conversion process. Delivery of license is immediate after product purchase. A email containing activation details and download link will be emailed directly after completing the product purchase to the email address used during product purchase. Great ost to pst tool. Great support. Keep it up.